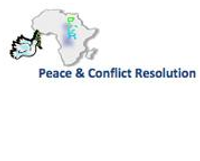 Created in 2006, PCR foundation focuses on peace education, trauma healing, counceling and humanitarian assistance. It deals with conflict at several levels (e.g. the reconciliation of broken families, helping young single mothers, restoring broken relationships as a result of conflict and war) and in general how affected populations can move on from trauma to a future life. Right to Education for all Children We are looking for donors for sponsoring a child’s education especially those from displaced families and slums areas. Humanitarian assistance to vulnerable youth that are victims of war and in particular that have suffered sexual abuse. We provide training in relation to self-sustainable projects. Below you can find a video about PCR’s work and why it focuses on women in particular. To give displaced and vulnerable children and youth a chance to access to basic education and entrepreneurship training. Sensitising about the danger of letting people stay with anger and their hearts wounded for such a long time without been cured, and how it maybe a danger for the future because it may bring revenge and make people suffer even more. Train more people and leaders at grassroots level as well as more volunteers with psychology and mediation skills that have the capacity to help the victims of war. We plan to collaborate with primary scchools in the region to start peer-mediation for children. Provide vocational training to help young single mothers to gain new skills and be able to move on. Peace education, trauma healing, humanitarian assistance, conflict resolution, single mothers, children.